One day, Denis Villeneuve will make a truly great movie. This is, apparently, a controversial opinion. Many out there feel strongly that the Canadian filmmaker has been leaping from triumph to triumph in recent years—with Sicario, Prisoners, and Enemy under his belt—while some consider him a pretentious, emotionally manipulative charlatan. Watching his work, I find myself mesmerized for great stretches—consider the sustained, stomach-gnawing tension of the first half of Prisoners, right before the kidnapping thriller completely degenerates into schlock. And I’ll never forget the brooding, visionary hellscape of Sicario, his cartel drama, even though I can barely remember what actually happened in it. Villeneuve has a great eye—his images are at once elegant and forbidding—and he has honed the ability to immerse you in unreal, deeply unsettling worlds. He’s at his best with mood pieces, when he’s not trying to navigate through conventional story beats and resolutions. 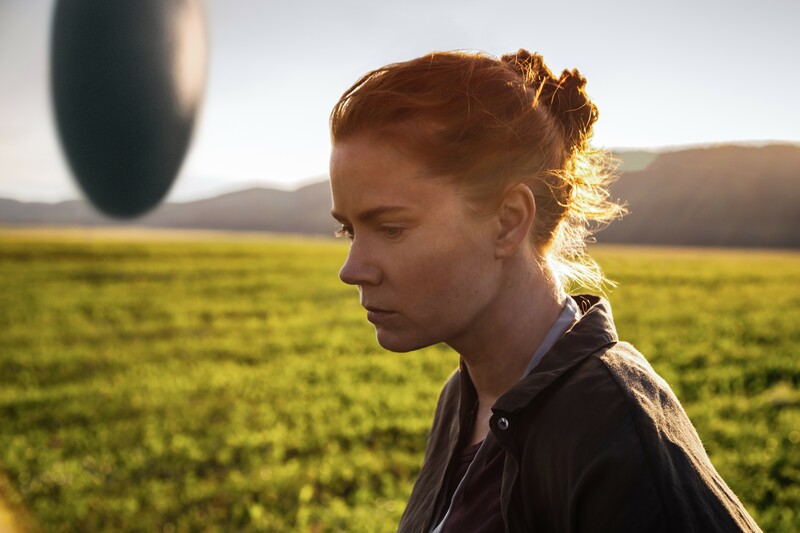 Which might be why Arrival, about the mysterious appearance of twelve floating extraterrestrial vessels in different corners of the world, is the best film the director has made so far: Its atmosphere is its story. This is material that needs a director with patience, as its impact rests on texture and tone. Villeneuve opens with a short, sharp blast of pain that seems somewhat unrelated to the rest of the film (though, yes, it’ll all come together by the end). We see, in quick flashes, Louise Banks (Amy Adams) goofing around with her young daughter, both of them happy and healthy. “I used to think this was the beginning of your story,” Louise says in voiceover. More snippets follow, growing ever more relentless: In one cut, we go from the young girl telling Mom she loves her to the girl as a young teen now telling Mother she hates her. Then we see Mom learn that the girl is very sick. Finally, we witness Louise standing over her daughter in a hospital room, watching as the girl dies. We never catch sight of a father, or really anyone else, adding to the sense of dead-end desolation. “Now I’m not sure I believe in beginnings and endings,” Louise says, closing out this opening by finishing that first thought, about the beginning of her daughter’s story, from a few minutes back. And then the aliens arrive. To read the rest of Bilge Ebiri’s Village Voice review, click here.